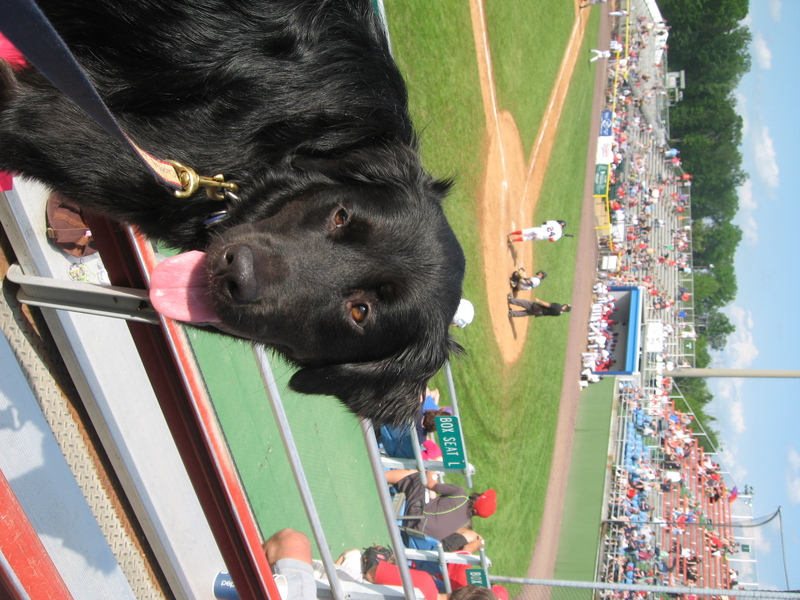 Dog are welcome at Sunday’s Potomac Nationals minor league baseball game with their first of two Bark in the Park promotions this season. Enjoy an afternoon of baseball, ballpark food and your best buddy as the Nationals take on the Carolina Mudcats at 1:05 p.m. This is a great event because you can sit anywhere with your dog, there’s no limit on the number of dogs that can attend, and Potomac Nationals games are cheap—tickets range from $8 to $14, and parking is $4 a car. The Bark in the Park games benefit the Basset Rescue Of Old Dominion (BROOD). If you buy your tickets on the BROOD website, $4 of each $8 ticket goes to BROOD. The game is at G. Richard Pfitzner Stadium at 7 County Complex Court, Woodbridge, VA 22192. The onsite ticket window opens at 10:00 a.m. and gates open at noon. If you can’t make it this Sunday, the second Bark in the Park game is Friday, August 24, at 7:05 pm versus the Frederick Keys.